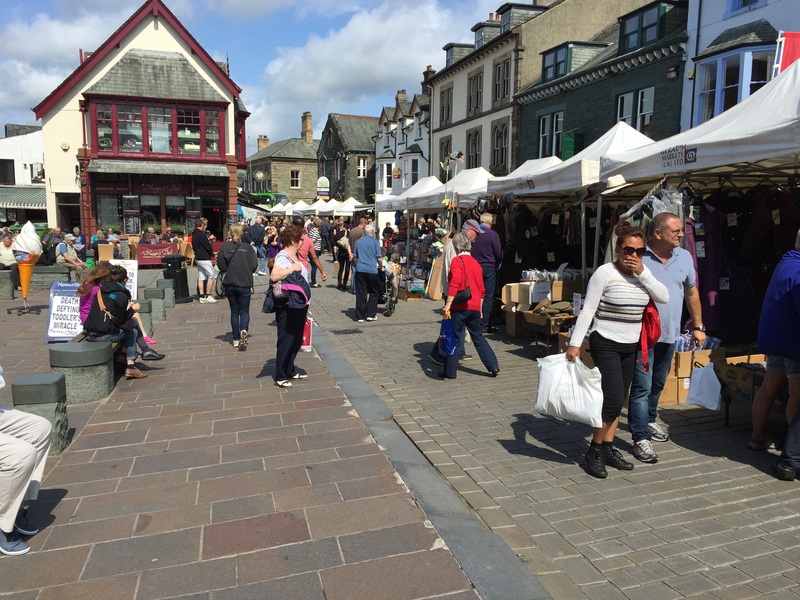 Before leaving the beautiful little town of Keswick this morning, we strolled the Saturday market and did laundry at the nicest lauderette I have ever used. Washing clothes was almost fun. 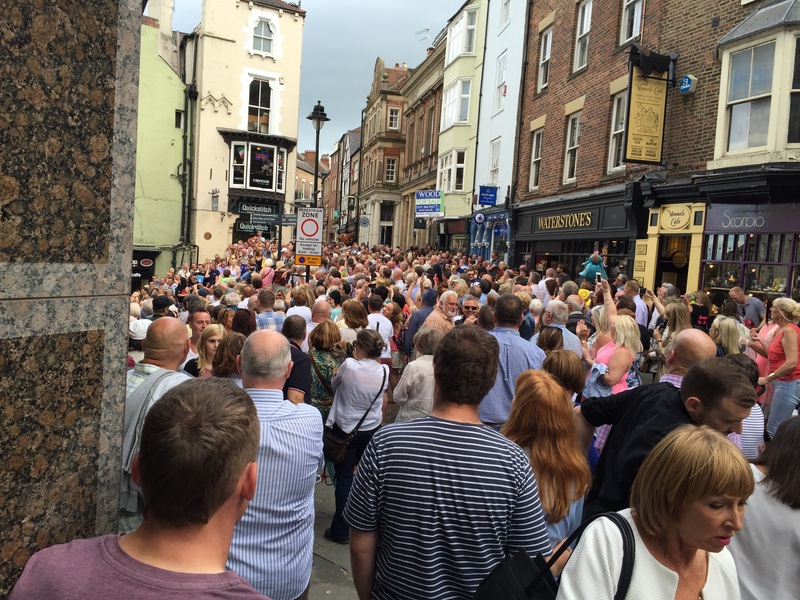 Arriving in Durham, we discovered the annual Durham Miners Gala was today. Although no deep coal mines remain in the Durham area, a record 150,000 people came to celebrate the area’s coal mining heritage. Festive people packed the street. A journalist covering the event gave us a great overview of what was going on. Brass bands and marchers carrying banners representing the different colliers (mines) paraded through the street. The crowd cheered each new song and sang along to their favorites. Nine to Five was especially popular. 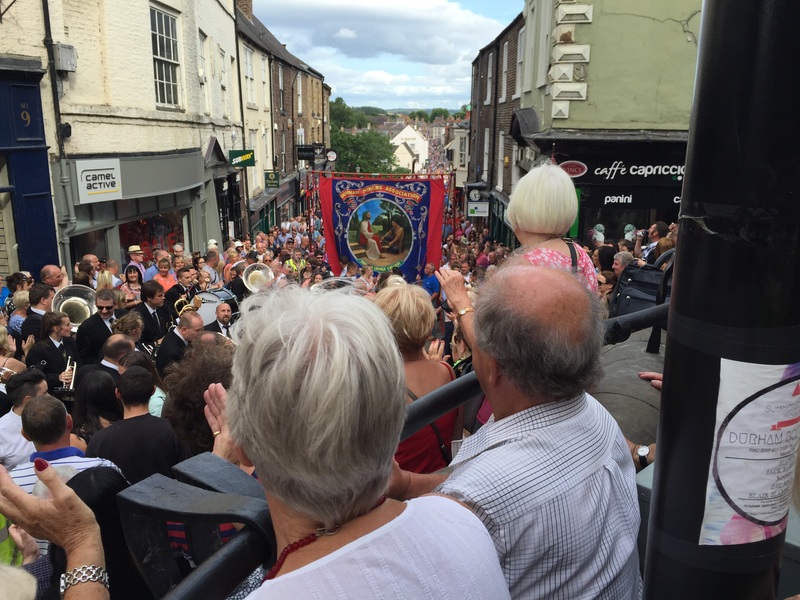 First held in 1871, the Durham Miners Gala is now the largest trade union event in Europe. 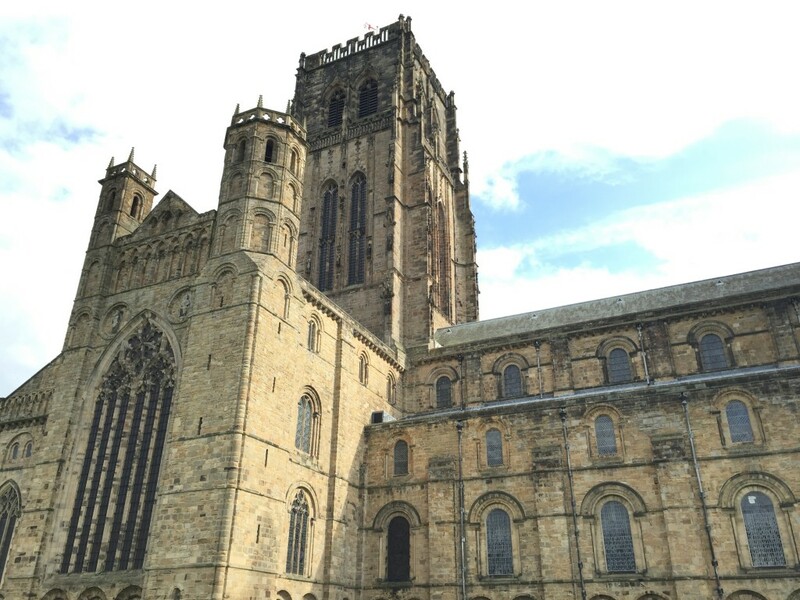 We left the crowded streets and walked a few blocks to the serenity of the Durham Cathedral. Founded in 1093, it houses the Shrine of St. Cuthbert, the patron saint of northern England and three copies of the Magna Carta. In the Middle Ages the church provided refuge for fugitives. They could knock on the door and the church would let them stay for 37 days while they organized their affairs. 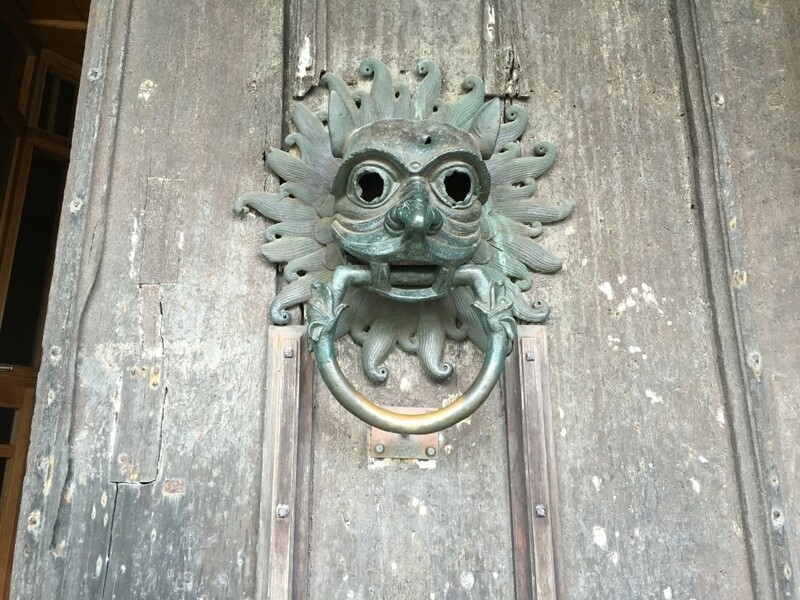 This entry was posted in Great Britain 2015 on July 12, 2015 by debbie.